Have you ever looked at a web page and your head hurts or your eyes cross? Or started an article but find that your mind just can’t plow through the information, diagrams and resources that may be linked to the article? 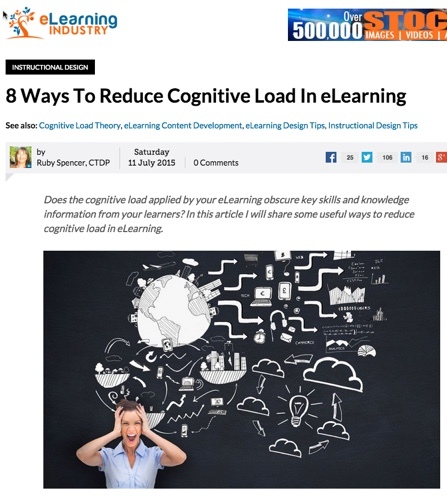 Often the amount of effort that our brain requires to process information and retain it, the “cognitive load,” is more than we can digest. This seems to be particularly true in eLearning environments where we have a tendency to load a page simply because we can. Thanks for these concise tips and for making me aware of this useful resource!